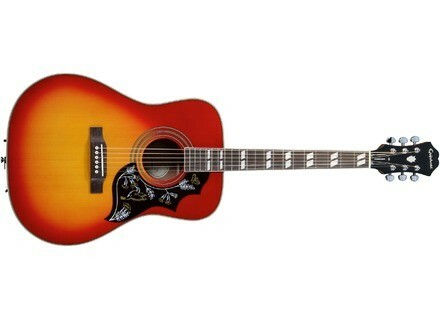 Hummingbird, Dreadnought Steel String Guitar from Epiphone in the Hummingbird series. If you purchase in March an Epiphone acoustic or acoustic-electric guitar at authorized retailer, you’ll receive a free Shadow soundhole tuner. To receive you Shadow soundhole tuner, register your new guitar at the Epiphone website then fill out and send the form available at www.epiphone.com. gMix, a 4-channel passive mixer Australian company Grav Corp has launched on KickStarter a compact 4-channel stereo mixer that does not require any power supply nor battery. MIDI on the Big Muff That’s probably what was missing to make the iconic Electro-Harmonix fuzz pedal the perfect effect, and that’s what Molten Voltage has done. The Wampler Plexi-Drive in Deluxe version Wampler Pedal will launch tomorrow a Deluxe edition of its Plexi-Drive Marshall-style overdrive pedal.